Project execution and its delivery are among the two most significant aspects of an IT Development and Enterprise App Testing. Tech Tammina is among the most reputed providers of Web Application Development services and one of the best BPM service provider that primarily emphasizes on integrating the information technology with our client’s business processes for enhancing performance and augmenting returns. We understand that every client has a distinct set of requirements and thus, we offer an array of delivery models to suit each client’s unique requisites. Our business-driven strategies, pragmatic approach and the outcome-driven solutions help you make the optimum use of technology to enhance your brand’s value through vied delivery models. 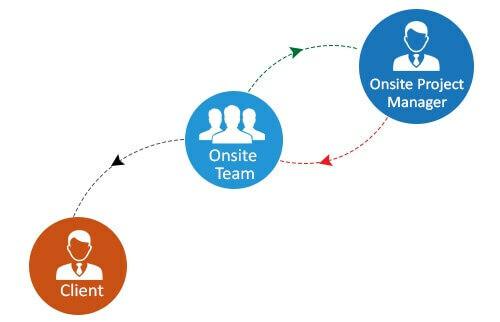 The onshore delivery model is one of the best models where clients can indulge in continuous monitoring of the project as the entire SDLC is run from end-to-end at their premises. This delivery model offers a lot of scope for flexibility, alterations in the project requirements, and continuous feedback for every milestone and development phase. After discussing the project requirements with the clients and finalizing a strategy for project development, a dedicated team is placed in your premises to carry forward the project development work. Though, it is a cost intensive model, but it offers the complete control over the project development to the client resulting in achievement of the desired results faster. Perfect for the Project’s requiring high-quality service and low costs, the offshore delivery model is the one in which the project is completed with an offshore team located at a distinct location apart from our head office. We possess different teams of specialized developers who have proficiency in the diverse technologies for product development work. After carrying out the project related initial discussion with the on-site team, we hand over the project to an offshore team that works in coordination with you while reporting the project progress to the on-site lead (responsible for coordinating with the client) as well. This delivery model is preferred for the projects where the project requirements, deliverables, and strategies are well-planned in advance, and the chances of fluctuations in the clients’ requirements are minimum. 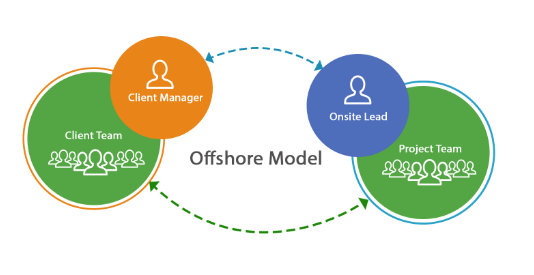 This delivery model, by integrating the benefits of offshore and onshore delivery models, offers the clients to get the best of both worlds. It offers the cost-efficiency of the offshore delivery with the coordination, communication, and control of the onshore delivery to ensure the project success and to avoid any communication problems. It is a sort of integrated-nearshore model where the product development work is carried out at a nearby location to the clients’ premises. We offer our clients the best services through this delivery model while ensuring the best prices. Contact Us to know more about our project delivery models and discuss your requirements in detail to get the work started.